Health insurance in general can be confusing, so you can imagine that navigating the system for ASD services is even more challenging. Understandably, treatments and services for Autism are often costly, so insurance can be an invaluable resource — once you figure it out. But don’t panic, we know the system! Autism Learning Partners has been down every path imaginable to help families get the coverage they need for the progress they want. We’ve got your back, but there are still a few things you should know that will help you stay informed and ahead of the game. How does my policy define autism and the services provided? How many visits and what types of providers are covered by my policy? What are my out-of-pocket expenses for each visit? What are my total out-of-pocket expenses and deductible? Are my child’s providers considered “in-network”? What is the process for filing a claim? What is the process for appealing a denial? Each insurance policy is governed by either federal or state law and this can have an impact on your rights and the type of coverage available to you. Knowing which laws apply to your policy can help you make sure you’re getting the right coverage. Mandates are laws that require state-licensed health insurers to offer or include coverage for certain benefits or services. One of the latest state legislative trends is to enact a stand-alone autism insurance mandate that covers treatment specifically for autism. 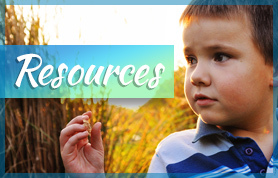 There are great resources for information on laws relating to insurance coverage for autism including the National Conference of State Legislators and Autism Votes. Some autism insurance mandates and insurance companies require a treatment plan that outlines the frequency and expected outcomes for different types of services. Often the law requires that certain providers like a medical doctor or psychologist write the treatment plan. Work with your child’s providers to develop a treatment plan, make sure it stays up-to-date and that your child’s progress can be measured and reported. When dealing with denied claims, expect to spend a lot of time on the phone. Having all your information organized and easily accessible can help move the process along. Always keep good records, document every communication, and don’t get too frustrated if you have to tell your story over and over again. Occasionally, some insurers will try to deny claims for services relating to autism treatment. Some of these loopholes have been closed through autism insurance reform laws, but you need to understand the laws to watch out for wrongfully denied claims. It’s a lot to take in, but keep in mind that we’re here to help you through it. Together. 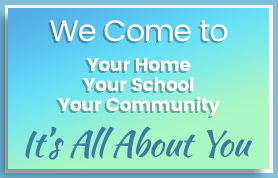 We’ll help make sure you have the right insurance policy for your family. 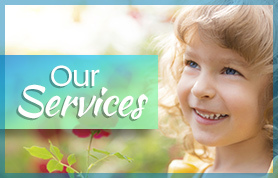 Our dedicated care managers can work with your family, and we even have a mentor program where we team up parents who have had similar experiences. They can guide you through the process, answer your questions and give you the support of someone who has been in your shoes. Questions? We’re here to help. You can speak to a member of our care management team at 888-805-0759, send an email to info@alp.com or live chat for assistance. Wherever you are in the process, there’s no such thing as a dumb question! Ready to get services started?